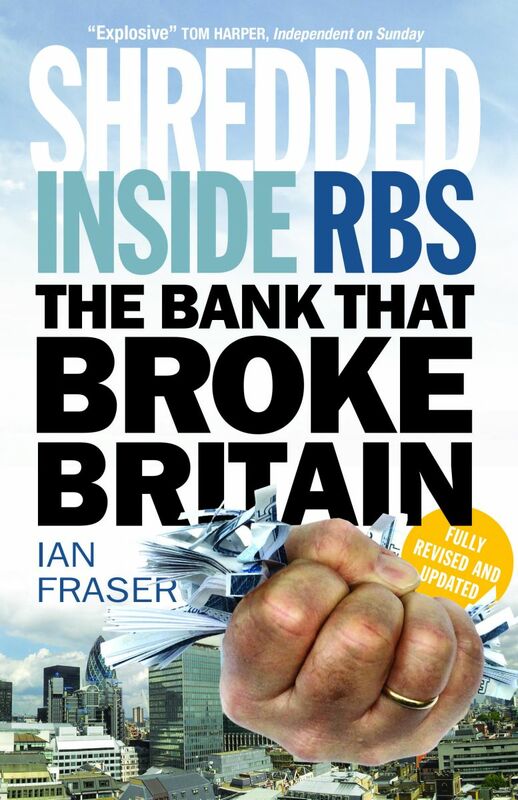 Ian Fraser has worked as a journalist for 25 years, writing for titles including The Economist, Financial Times, Sunday Times, Guardian, Independent, Reuters, Dow Jones, Daily Mail, Herald and Sunday Herald. From 1999 to 2006 he worked for the newly launched, Glasgow-based Sunday Herald as financial editor, closely following developments at the Royal Bank of Scotland. Since 2008, he has focused on covering the unfolding banking crisis, working on seven BBC documentaries including the Bafta-nominated RBS: Inside The Bank That Ran Out of Money. He has also taught at Stirling University. Before becoming a journalist Ian worked in the advertising industry in Edinburgh, London and Paris; on a mine in Greybull, Wyoming; and as a jackeroo on a Queensland, Australia sheep station. He was born in Edinburgh, is married with three children, and has a degree in English from St Andrews University. Shredded is his first book.